The Textile factory is comprised of Spinning,Knitting,Dyeing & Finishing. 3 tons of rotor spun yarn with average count of Ne 20. But these m/c can produce from Ne 10- Ne 30. The ring frame machines can produce from Ne-20 up to Ne-40. Generally we have two lines, Ring line and O.E line. In the Ring line we have two qualities, carded and combed lines. In addition to these we have the possibility of producing polyester cotton with different counts in both lines. This is one of the project which is operational since April 2009.It’s daily capacity is 6 tons .The plant comprises of 12 circular from MAYER & CIE(Germany)& 4 Flat knitting Machines from SHIMA SEKI(JAPAN). This plant comprises the latest laboratory & HPHT dyeing Machines & color kitchen. 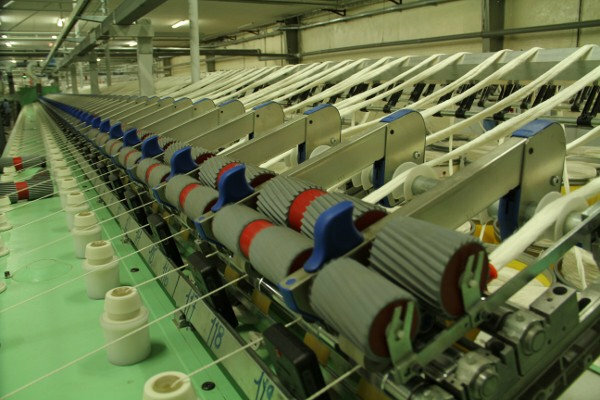 The HPHT machineries can dye knitted, woven made of 100% cotton & blends. The laboratory comprises Spectrophotometer, automatic dispenser(data color), sample dyeing machine, light fastness tester, Crock meter, perspirometer, shrinkage tester, washing fastness machine, dryer & light cabinet equipments.